A fine vibrant oil on canvas which dates to circa 1890 by noted British landscape artist Edward Frederick Brewtnall. This stunning painting depicts a coach and horses with a view towards St Pauls and London from Blackheath at dusk. There is beautiful colour and light. Edward Frederick Brewtnall (1846-1902). 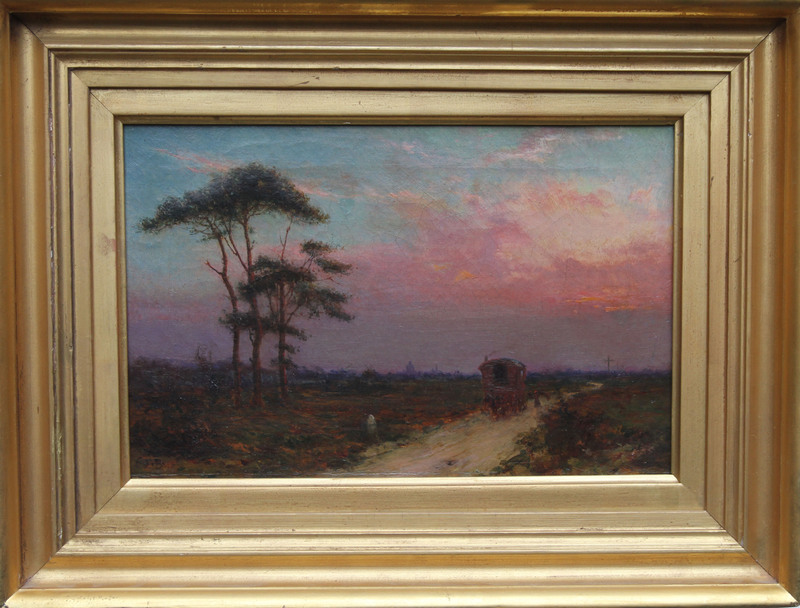 Brewtnall lived and painted in London for over 50 years. 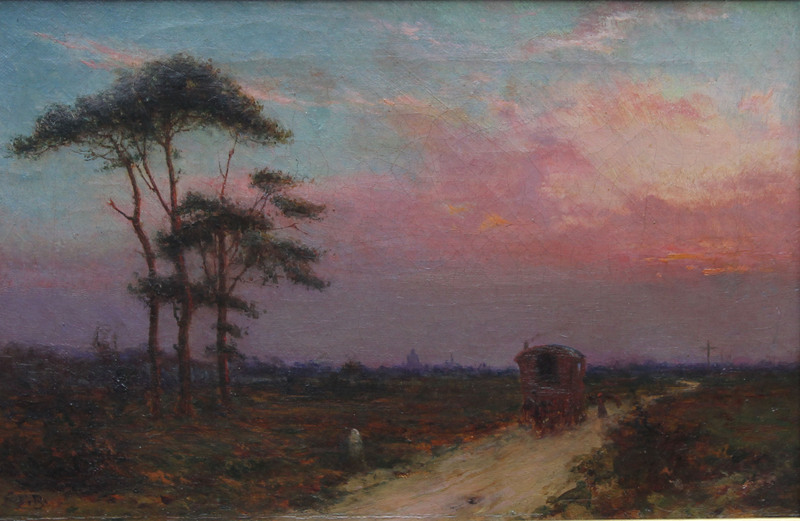 From 1866 he exhibited his landscape and genre paintings at Suffolk Street, The Royal Watercolour Society and The Royal Academy of which he was also a member.